Phil Hirst MCIPD ORDIT Principal Trainer for Learn Driving UK has been training people to become Driving Instructors for over 20 years. Our training areas for Instructor training are West Yorkshire, North Yorkshire and Cumbria, with Trainers in those areas. You will follow a fully structured course on a pay as you go basis and receive the training needed to see you qualify all three exams. Once you have passed your part two exam and completed the necessary amount of hours part three training you will then be offered a trainee licence with our driving school Learn Driving UK and start working as a driving instructor on a full-time basis, earning a full-time wage, alongside your training. No hidden costs, just professional, affordable quality training. A second to non-support system which continues long after you have qualified. Phil Hirst’s reputation in the Driver Industry proceeds him. 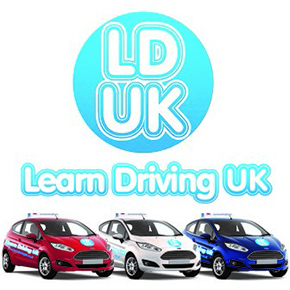 All Learn Driving UKs Instructor Trainers are qualified to a very high standard. You will be in safe, trustworthy hands. If you would like more information, please give us a call and have a chat with Phil. 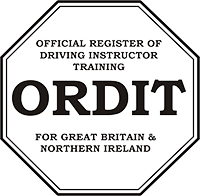 As an ORDIT Trainer with over 20 years’ experience, Phil prepares his trainee instructors systematically, putting their needs first in order to qualify as AdIs and work successfully and profitably in the driver training industry. His pass rate is second to none! We have successfully trained over 1000 driving instructors. We employ experienced ORDIT trainers with excellent track records who are specialists in instructor training. All your one-to-one training is carried out on-the-road in our vehicle – the only place to learn the skills of a driving instructor and receive the complete package! We take you from fledgling instructor to working confidently, efficiently, and profitably as a qualified professional. As a local family business, we have a vested interest in your future. It’s important that we not only offer you the training to become a qualified driving instructor but we also guarantee you the opportunity of a position with our very successful driving school (Learn Driving UK) should you wish to accept it. We have an industry–leading 95% success rate at Part Three. All training is on a pay as-you-go basis. If you are contemplating a career change and would like to have a chat with Phil, please give us a call. Call Helen if you would like to discuss our franchise further. The course is run in Harrogate on a 1:1 or 2:1 Trainee/Trainer ratio and lasts 24 hours 1:1 and 30 hours 2:1 spread over 4-5 days. The content of the course can be varied according to your needs. For instance, if you wish to be able to provide a full course service (Parts 1, 2 and 3) to your PDIs, then a course along the lines of the one attached would be suitable. However, if you wish to concentrate solely on Part 3, that too can be arranged. The course will incorporate the changes that will be happening in the industry in the Autumn of 2017. The cost of the course is £1095 on a 1:1 basis and £795 each when booking a 2:1 course. (A non-refundable deposit of £250 secures your place on the course) It includes a copy of the ADI Trainer Handbook and each of the Phil Hirst training manuals. They are essential elements of the course and will help provide continuity when you return to develop your own business. Bed and breakfast accommodation can be booked at a subsidised rate by contacting Leigh Richardson at the Franklin Hotel Harrogate on 01423 569028 or booking.com offer some very good deals. If you require any further information, don’t hesitate to call Phil on 0771 238555. Since the introduction of the Standards Check in 2014, hundreds of qualified driving instructors have attended Phil Hirst's one-day Standards Check seminars and in-car practical training sessions. All have either passed the Standards Check or improved their previous score or grade! Book a session with Phil and you won't be disappointed. The facilities were good, nice tea and coffee and spacious room. The course was very good and informative. Phil was excellent. The course was very good value. It has helped me understand the differences between the new check and the previous check test requirements. I had attempted part three with another driving instructor trainer in Leeds 2 years ago with no success. After pursuing another career for a while, I realised that I really wanted to become a driving instructor. I passed part one myself and had a few hours driver training with Phil and passed Part Two first time. I also passed Part Three first time and I thank Phil for his belief in me and for his first rate training. After having 40 hours of part three training with a local trainer in York I failed my first attempt at the part three test miserably. I realised that I was not prepared enough and Phil provided me with the inspiration to continue. Over a two week period, prior to my second test, Phil sharpened my instructional techniques and my grades rose from 2/2 to a 4/5 pass. Many thanks Phil for all your help. Phil was recommended to me after my sister qualified to be a driving instructor with him. I am delighted to say this was a great decision as I passed my tests first time thanks to his expert tuition. I would recommend Phil to anyone who wishes to become a driving instructor, many thanks for your patience Phil. The course had very good content and an enjoyable environment. Phil could not have delivered the course better, difficult to improve on the best. Everything about the day the delivery the content was all very good. I would highly recommend this course, We all have to evolve with time, after 36 years you think you know it all, but courses like this really open your eyes. Thanks Phil. Excellent, Excellent, Excellent. Very good everything. Phil is on top of his game. The course was brilliant. Phil was really good, I learnt lots of useful information. I'm looking forward to trying it out now. Everything i wanted to know was covered in the course. I would recommend this course as it was very useful, interesting and informative. Having finished the Train the Trainer course on January 7th 2015 I can thoroughly recommend it to anyone wanting to train instructors. I found the course well set out taking me and a fellow ADI from knowing very little about training instructors to leaving Phil on the last day full of confidence that we would be able to start training instructors. I attended Phil's Train the Trainer course in January 2016 having been an ADI for about 11 years. I had done several CPD courses previously, but this one took it to a whole new level. I learned more in the five days that I spent in car with Phil than on other courses that had lasted a year or more. Phil's teaching style is positive and encouraging and I left the course on the last day with a feeling of accomplishment.